Wireless routers are becoming a necessity in households and businesses across the world. Finding the best wireless router for your needs and budget is not an easy task. I hope to simplify the process a little with breakdowns and descriptions of the highest-rated routers on Amazon as of June 2018. You’ll see popular new technologies like dual band and beamforming. Dual band involves broadcasting the Wi-Fi signal on two frequencies: 2.4GHz and 5GHz. Though devices more commonly use 2.4GHz, this frequency tends to be crowded and prone to interference from things like microwave ovens. Most routers released recently have simultaneous dual band technology, compared to older devices that required you to switch back and forth between 2.4GHz and 5GHz. The 5GHz frequency comes in handy for online gaming and streaming videos, while your iPhone works on the 2.4GHz frequency. Less interference means better quality streams and faster loading times. Beamforming is the process of focusing a Wi-Fi signal emitted from a router towards your devices. Instead of spreading out like a wave (and losing quality and strength the more it spreads out), with beamforming the signal is concentrated in the direction of your devices for a stronger signal—meaning you get better streaming and gaming experiences. With most households using Netflix or some form of subscription streaming service to watch TV and movies, beamforming and dual band technologies allow you to get the most out of your internet provider. Without further ado, we have reviewed the top 10 best Wireless Routers in 2019 for you to read before buying one. Which Router is Right For You? 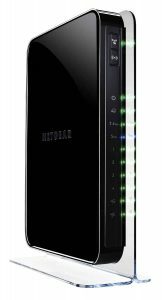 This router from Netgear has three external antenna that allows you to customize the direction of the Wi-Fi signal. It has one USB 2.0 port and one USB 3.0 port that can be used to wirelessly access a shared USB printer, share a USB hard drive, or provide automatic PC backup to a connected hard disk (via free software). The dual-core processor operates at 800MHz with 128MB flash memory and 256MB of RAM. Simultaneous dual band technology decreases interference for better connectivity. The router transmits at Gigabit speeds for high-quality HD streaming and gaming experiences. It also offers DoS protection and parental controls to filter web access to all connected devices. It is ideal for larger homes and/or homes with 12 or more Wi-Fi devices. 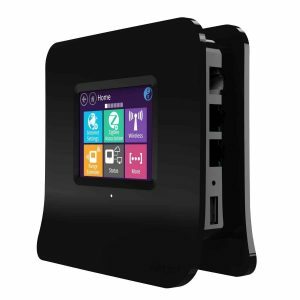 This router emphasizes user-friendliness with its fast and easy touchscreen setup. It has a range of 50 to 150 feet with three internal antennas. It has a dual-core processor operating at 750MHz with 512MB flash memory and 512MB of RAM. It can be incorporated into a home automation system–you only need to buy sensors compatible with the Securifi Almond, then choose one of the free apps available to monitor your home. No need to invest in expensive system installations and monitors from security and automation companies. Securifi seems to have excellent customer service as well, making it a great buy for those who aren’t very tech-savvy. This sleek Netgear router offers five high-speed Ethernet ports, two USB 2.0 ports, and similar sharing potential to the Netgear AC1750. Its Gigabit wired Ethernet design makes it ideal for HD streaming and gaming, with a Wi-Fi speed of up to 900mbps. QoS is used for further optimization. The dual-core processor operates at 600MHz, with 128GB of RAM and 128GB flash memory. It has a simple and customizable user interface with many security features. Reviews state that it handles multiple devices well and has a great range.It has six antennas, all internal. All in all, this router seems easy for a novice to use, but its many custom features would be better used by an expert. 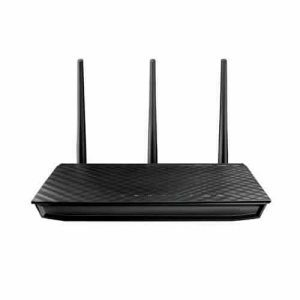 This router offers compatibility with 802.11ac Wi-Fi as well as earlier and more common variants. You can assign bandwidth to different devices with the customizable IP-based QoS. It has a two-year warranty, a mobile set-up option, and 2 USB ports for sharing and printing wirelessly. It has a single-core processor with 128MB of RAM and 8MB flash memory. 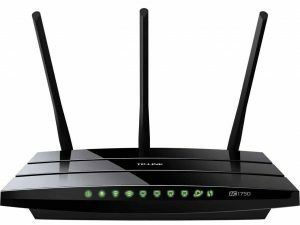 The availability of technical support makes this router a good option for novice internet users, and the 802.11ac Wi-Fi compatibility may not be a significant benefit for the layperson. This router, like many other newer routers on the market, offers parental controls and the ability to handle upwards of 5 devices at once. It has IPv6 support and a 2-year warranty, as well as a user interface for monitoring and controlling the network and signal. It provides fast download speeds and a strong, stable signal. Ideal for users who want to participate in online gaming or streaming. The single-core 600MHz processor has 256MB of RAM and 32MB flash. It also can be used to create VPNs. 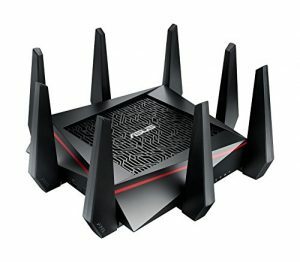 Gamers love this router, and the router likes them back. Smart Connect technology moves devices between different bandwidths for the best speeds and efficiency. The Four-Transmit, Four-Receive antenna extend the range and signal strength of your Wi-Fi. It is compatible with MU-MIMO, and the access to the Gamers Private Network optimizes your gaming experience. The eight external antennas are detachable. The router can transmit up to 5300mbps. The dual-core 1.4GHz processor contains 512MB of RAM and 128MB of flash memory. The crazy design does make the router a little heavier, clocking in at 3.2 pounds. 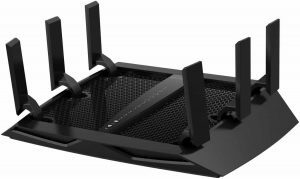 The spidery six antennas combined with amplifiers and a 1GHz dual core processor make this monster a fantastic gaming router. Smart Connect technology balances the wi-fi load between the three bands and prioritizes bandwidth. For the downloaders, the gamers, the streamers, and the households with dozens of Wi-Fi devices–this router can handle anything you throw at it. Beamforming+ technology helps manage and focus Wi-Fi signals, which becomes more important the more signals there are. Dynamic QoS balances the Wi-Fi load to prevent lag. The dual-core 1GHz processor has 256MB RAM and 128MB of flash. 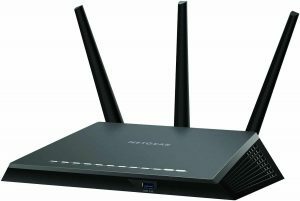 The many features of this Netgear Nighthawk router provide a powerful combination of speed, strength, and efficiency. Downstream and upstream QoS balances the Wi-Fi load to avoid lagging. Three external antennas customize Wi-Fi signals. It features a dual-core 1GHz processor with 256MB of RAM and 128MB flash memory. This is another router that can handle the heavy load of multiple devices over a broad physical space. It also offers easy installation, two USB ports, VPN support, and parental controls.The Beamforming+ technology manages and focuses Wi-Fi signals. It also comes with free automatic backup software for both Windows and Macs. 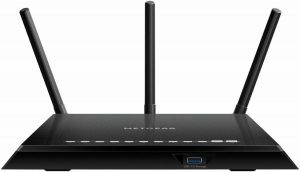 Again, this is a router that is optimized for gaming but would also work well for large households with many Wi-Fi devices. With an easy setup and plenty of power, this router could be the best of both worlds for both experienced and novice internet users. It also has a dual-core 1.6GHz processor and 512MB of RAM. The Beamforming+ technology manages and focuses Wi-Fi signals while the dual-band technology ensures minimal interference and maximum performance. The four external antennas can be adjusted to improve signal broadcasting. Besides parental controls, the router also enables users to monitor and customize their network. The dual-core 1GHz processor gives this router formidable power. Three dual band external antennas amplify your Wi-Fi coverage. It has a dual core 1GHz processor with 128MB of RAM and 16MB of flash memory. You can reach speeds of up to 1900mbps. Reliable, easy-to-use software and helpful tech support have made this a favorite among customers. Great for multiple users with multiple devices, and for streaming video. Doesn’t have VPN support for more advanced users. 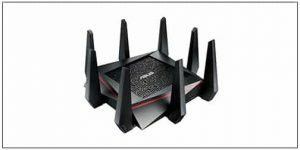 It may not be necessary for you to spend over $150 on a router if your household doesn’t have 1) multiple gamers or one heavy gamer, 2) multiple streamers, and 3) a need for creating VPNs and other high-tech tweaks to your network. Investing in a new, quality router is worthwhile, especially if it has made this list—these are investments that should last you many years without slowing down or falling behind technologically. Dual band technology and beamforming are ideal for areas with other competing networks, such as your neighbors’ Wi-Fi signals. More and more routers are optimizing for small businesses and heavy data users. 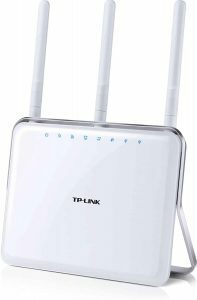 Any one of these dual band, multi-antenna routers would work well in a small business due to their range, but customers may want to choose one with additional security features and network monitoring abilities. For the person who doesn’t want to handle complex systems, the Securifi Almond has been designed with ease of use in mind. All of the routers listed are designed to handle broadcasting through large physical spaces, such as homes with high square footage, that older routers would struggle with. 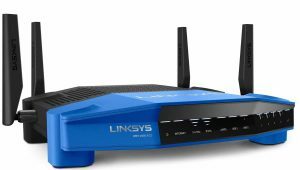 If your older router requires constant rebooting, or if there are dead spots or weak signals in your home, a new router may be a better investment than a network extender. Something else to keep in mind while shopping for a new router is that their speed capabilities are limited by your internet service provider. If your internet service provider doesn’t allow speeds of 1300mbps, it doesn’t matter that your router does. However, older routers are less efficient and overall broadcast at slower rates than the new routers on the market.